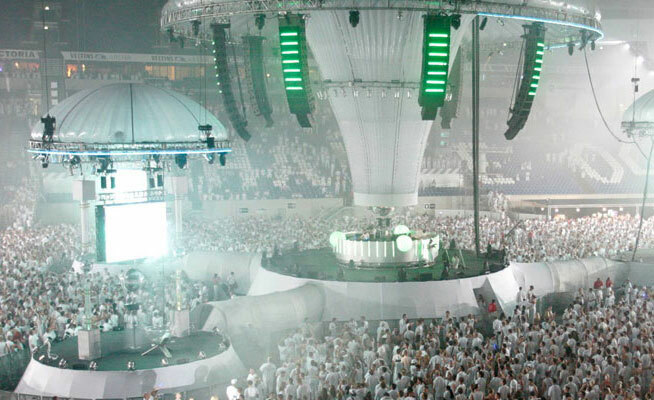 What’s On announces a second edition of Sensation in Dubai at Meydan Racecourse in 2015. Get ticket information and see a teaser trailer. *EDIT (May 5): The event will take place on Friday October 30 at Meydan. Early bird tickets are available for Dhs395. After a sold out Halloween celebration at Meydan Racecourse, the iconic Sensation party will return to Dubai this year. A teaser trailer released online on Sunday April 20 made no suggestion about a date or line-up, but did show quite what a spectacular event the first edition was. Tickets for the second edition go on sale on May 5. As What’s On revealed first, Meydan will once again host the party. Specific details of the line-up aren’t expected until later in the year. Selling itself as more of an experience than an event attended because of the big name DJs – although Martin Garrix, Roger Sanchez and AN21 made it a night to remember – the concept was a runaway success in the region last year. 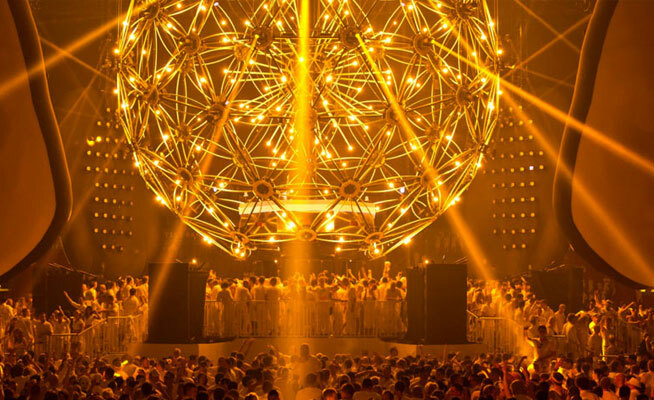 Organisers have, since the first carnation of the event 14 years ago, hosted more than 100 indoor editions of Sensation, entertaining in excess of two million party-goers in 32 countries around the world. But last October’s shindig saw it move to the open air for the first time. The stunning venue was transformed into a carnival scene for 15,000 lucky revellers, all of whom were dressed in white, as per the dress code. Alongside the music, the eight-hour ‘Source of Light’ show featured remarkable stage performances from acrobats and actors, as well as state-of-the-art light-shows, lasers, fireworks, and even carnival floats through the crowds. 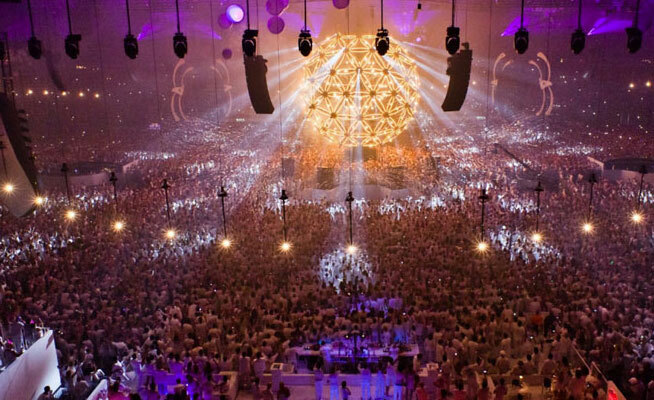 Sensation started in 2000 with a one-off event in the Netherlands’ Amsterdam ArenA, attended by 20,000 people. A year later audience figures doubled, and it has gone on to win awards for ‘best event of the year’ in countries including Holland, Germany, Australia, Brazil and Denmark. Last year, tickets were priced between Dhs395 for general admission to Dhs500,000 for ‘Epic VIP’, for which you get access for 30 people, private table, drinks, a personal waiter and more.